Today we put Britain’s first and only woman Prime Minister Margaret Thatcher in focus. Often known as the iron lady, she was the only person to have held office for as long as three consecutive terms. She was greatly admired for her leadership skills and acumen. She changed the way politics was perceived in Britain during her time in office. Margaret Thatcher is known the world over as Britain’s first woman prime minister. 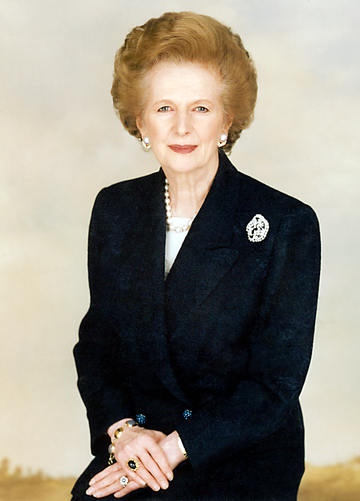 She held office for three continuous terms and during her time in office made several key changes with the aim of improving Britain’s overall progress. She was born into a humble business family in Grantham, England on 13th October 1925. Her family ran a small grocery store and lived in the apartment above the store. She was always academically good and in her later years got accepted into Oxford University, one of Britain’s leading educational institutes. She always held a keen interest for politics even as a student. She even served as the President of the Conservative Association at the university. She officially entered the field of politics two years after graduating from university, where she first bid for public office. What is she most known for? Margaret Thatcher is a household name across the world today. In the 1970’s she created a mark for herself and women the world over by being the first woman to be elected as Prime Minister of Britain. Why is she a SHERO? Margaret Thatcher spent years trying to make a successful foray into politics. She was often defeated and once during a television interview even said, ‘I don’t think there will be a woman prime minister in my lifetime.’ Despite several road blocks and failed attempts during elections, she fought on relentlessly eventually creating a name and position for herself. Margaret Thatcher first made an entry into the field of politics two years after graduating from university. She decided to run as the conservative candidate for a Dartford Parliamentary seat during the 1950 elections. Although she knew it would be close to impossible to win, during the campaign stages she gained recognition for her speeches and ideas. She didn’t let the initial failures affect her. She tried again for the seat the following year even though her attempts failed yet again. She took a break from politics to study law. After qualifying as a type of barrister and giving birth to her twin children with husband Denis Thatcher, she again forayed into politics and in 1959 won a seat in the House of Commons. From here on, she was considered a ‘woman on the rise’ and kept gaining popularity in political circles. She eventually became a strong force in her party too. She was dubbed as the ‘milk snatcher’ for discontinuing a free milk program for school children. She helped invent ‘soft serve ice cream’ during her time as a research chemist. She was known to work into the early hours of the morning often saying ‘she found a new lease of life’ at those ungodly hours. She was conservative in her dressing style but was known to kick back with a scotch and soda after long hectic days. This quote is often used today as an inspiration for women across the world!